Air-entraining admixtures cause small stable bubbles of air to form uniformly through a concrete mix. The bubbles are mostly below 1 mm diameter with a high proportion below 0.3 mm. The benefits of entraining air in the concrete include increased resistance to freeze-thaw degradation, increased cohesion (resulting in less bleed and segregation) and improved compaction in low-workability mixes. The volume of air entrained depends on the application and the mix design. After mixing, air can be lost during transport and pumping. Allowance should be made for this so that the correct level of air is obtained in the hardened concrete. This may mean testing at the point of discharge rathr than at the batching plant. 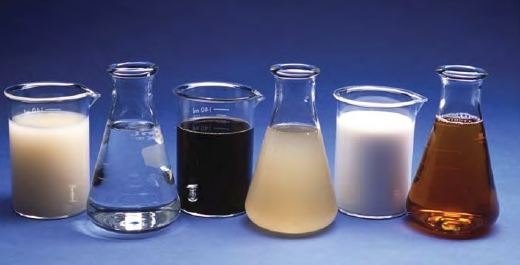 Air entrainment reduces the density of the mix and increases yield. This needs to be taken into account when batching and mixing. For every 1% of additional air entrained, concrete strength will fall by around 5%. At normal air entrainment levels, most other properties of the concrete including drying shrinkage and creep are not significantly affected. The main reason for using entrained air is to improve freeze-thaw and scaling resistance and so prolong service life. The improved cohesion and compaction can also enhance quality and durability.